Who said prayers are rejected? Throughout life, many of us go through hardships. We have nowhere to turn to but Allah (swt). What do we do? We make du’a or pray obviously. However, some people complain that their prayers are rejected. THAT IS COMPLETELY FALSE BECAUSE ALLAH NEVER REJECTS ANY PRAYERS! Also, let’s remember that some of these prayers will not immediately show us some results and that’s because Allah (swt) is planning for your prayer to come true in the best way possible. Maybe it’s better if your prayer comes true later on, only Allah (swt) knows best. But whatever you do, you must not lose hope. The Prophet Muhammad ﷺsaid “The du`a’ of any worshiper will continue to be responded to as long as he does not ask for a sin or breaking the ties of kinship, and as long as he is not hasty.” He was then asked what being hasty meant, and he replied, “A worshipper says ‘I have prayed and prayed, and I don’t see that it will be accepted,’ so he gives up hope of being answered and leaves du`a’.’” You might get angry and sometimes I do too but don’t despair. Also, sometimes it’s a test. Allah (swt) might make you go through some hardships and well you can’t really do anything but pray and have patience. That’s just how life is. 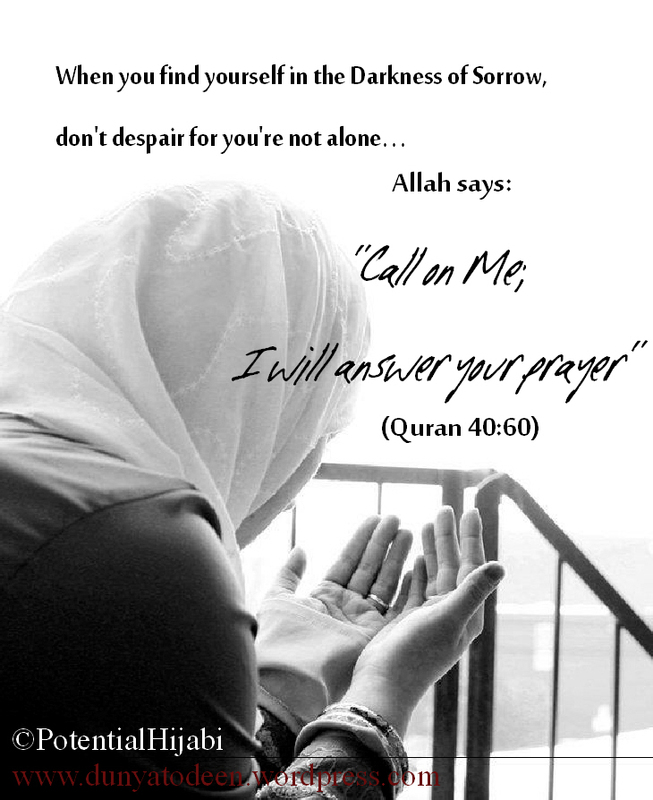 Remember that Allah (swt) never burdens you more than you can take and after ever hardship comes ease. Besides after the hardship, you’ll only come out stronger and have firmer faith in Allah (swt). So really these hardships benefit us. I know that it’s not as simple as that but don’t lose hope because Allah knows what He’s doing and it’s all for the best. Lastly, sometimes our du’as may not be what’s best for us and that’s why they’re not coming true. For example, what if you were some sick person and you wanted someone to die and you prayed that that would happen. Well obviously sometimes we just don’t know what’s good for us. In the Qur’an it states, “But perhaps you hate a thing and it is good for you; and perhaps you love a thing and it is bad for you. And Allah Knows, while you know not.” (2:216) Again, Allah (swt) knows what’s best for you. sometimes Allah gives you really much more than you asked for.Alhmdulillah masha Allah..It is just you have to realize..